It’s the 2070s. The United States is no longer united, and the breakaway territory of Cascadia in the Pacific Northwest has created its own myths and realities. In this sequel to the first METATROPOLIS anthology (2008), six award-winning science fiction writers share a brash, finely detailed world. Each narrator is a recognizable Star Trek series alumnus. This is a bonus, especially in the cases of Wil Wheaton’s reading of "Byways" by Tobias Buckell and Gates McFadden’s reading of "Confessor" by Elizabeth Bear. Their voices are so familiar that they envelop the listener in the fascinating unfamiliar territory. It’s like listening to old friends tell new tales. These are well-crafted novellas about a brave, new near-future. This provocative sequel to the Hugo and Audie Award nominated METAtropolis features interconnected stories by today’s top writers of speculative fiction – performed by a galaxy of Star Trek stars. As the mid-20th century approaches, the Pacific Northwest has been transformed - politically, economically, and ecologically - into the new reality of Cascadia. Conspiracies and secrets threaten the tenuous threads of society. The End of Days seems nearer than ever. And the legend of the mysterious Tygre Tygre looms large. METAtropolis: Cascadia is the creation of Hugo and World Fantasy Award nominee Jay Lake; Mary Robinette Kowal, winner of the John W. Campbell Award for Best New Writer; New York Times best-selling author Tobias S. Buckell; Hugo Award winner Elizabeth Bear; Aurora Award winner Karl Schroeder; and critically acclaimed author Ken Scholes. The team of narrators is any Star Trek fan’s dream: Rene Auberjonois (“Odo”); Kate Mulgrew (“Capt. Kathryn Janeway”); Wil Wheaton (“Wesley Crusher”); Gates McFadden (“Dr. Beverly Crusher”); Jonathan Frakes (“Cmdr. William Riker”); and LeVar Burton (“Geordi La Forge”). Jay Lake, who also served as Project Editor, introduces this stunning sequel, written and produced exclusively for digital audio. Check out the original METAtropolis here. ;Learn more about the narrators and authors at the METAtropolis: Cascadia microsite now. 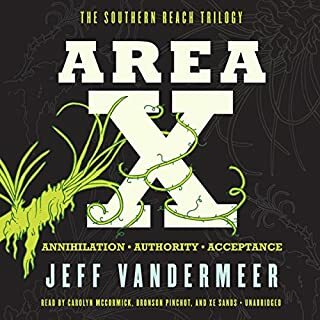 ©2010 Joseph E. Lake, Jr., Mary Robinette Kowal, Tobias S. Buckell, Elizabeth Bear, Karl Schroeder, Ken Scholes (P)2010 Audible, Inc. 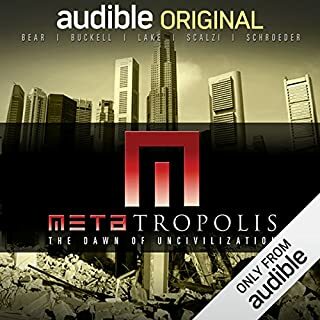 When I saw that Audible did a follow up to the original METATropolis, I was interested to see what they had done to one of my favorite programs. "The Bull Dancers": Extension of "Forests of the Night" the original leadoff. Pretty decent story other than the fact that it went on for much too long (3 hrs). Rene Auberjonois was decent, however most of his characters sound like Odo from Star Trek. "Byways": Extension of "Stochasti-city". Didn't work as well as the other stories, but Wil Wheaton definiteley got the same rhythm/pacing that the original had. "Confessor": Right length, however all the characters (male and female) all sounded the same, so identifying which story line we were on is difficult. "Deonand": The Bad of the book. While the text is spot on, Frakes is not the right person to be narrating this segment. His butchering of Gennady (pronounced Go-Knot-ee) Malianov is so disjointed as compared to "To Hie from Far Cilenia"
In short I can tell which narrators had gone over the previous work (if there was one) and which did not. 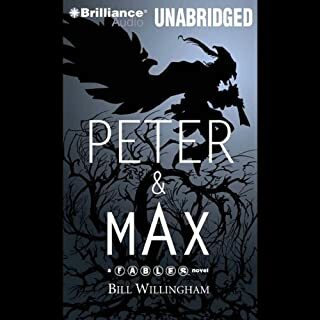 Audible, If you care about this book and the series please bring Stefan Rudniki in and re-record Deonand. After hooked on the first series of Metatropolis, I had to also listen to the sequence. It's great to catch up with some of the characters from the initial series and to see how things developed. Each story is brilliant, filled with many inventive details, that are scarily likely to develop at the same time. Metatropolis Cascadia plays entirely in the USA/Canadian area, it would be interesting to read Metatropolis stories from other parts of the world. This is the second anthology in a series that began with METAtropolis: the Dawn of Uncivilization. This collection riffs off the first story in that anthology, taking place in a transnational entity that includes the geographical areas formerly known as British Columbia, Washington and Orgeon states. The stories are set around the year 2070 in post-industrial, post-capitalist, post-national world and are all read by actors from various incarnations of Star Trek. 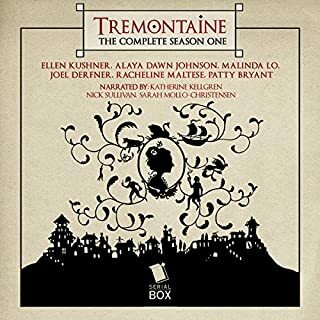 The first story, written by Jay Lake and read by Rene Auberjonois (immediately recognizable as Odo from Deep Space Nine) details a very old, very rich man’s final days as he searches for the answers to an event that occurred forty years earlier. I really enjoyed this story and the chance to revisit some of the characters from the original METAtropolis. The second story was written by Mary Robinette Kowal and narrated by Kate Mulgrew (Captain Kathryn Janeway of Voyager). This was probably my least favorite of all the stories so far. It was mostly a love letter to the art of wine making that could have been set in any era and lacked a clear connection to the rest of the stories in these anthologies. For instance, as soon as I realized it was going to be about wine, I anticipated an explanation of a concept that has come up in a few of the other stories, where instead of money, some people have currency called ”winos.” But the term never even gets mentioned in this story . . . did Ms. Kowal miss the world-building sessions?? The third story was written by Tobias S. Buckell and read by Wil Wheaton (Wesley Crusher of The Next Generation). The setting for this story presented another cool idea that was new to me. The main character is part of a crew whose job it is to de-construct expressways and empty suburban housing tracts. Having grown up in one of these anonymous suburbs (and escaped as soon as I could to a densely populated downtown neighborhood) I have to admit that I loved the scenes where the bulldozers crashed through the paperboard houses. If that’s not a big enough hint, other parts of the narrative extoll the virtues of cities, such as that more patents are produced by city-dwellers and city dwellers use less energy, particularly if you can figure out a way to grow food nearby. Like the stories in the first METAtropolis, this one has an extremely positive view of the future of cities, which is not all that common in post-apocalyptic literature. The next story was by Elizabeth Bear and read by Gates McFadden (Dr. Crusher in The Next Generation). This is a bit of a more conventional scifi story involving genetic engineering, combined with a murder mystery plot. The twist at the end is foreshadowed pretty heavily and so was really no shock. Karl Schroeder once again takes the prize for most cool ideas in one story with his entry here, read by Jonathan Frakes (Comander Riker of The Next Generation). It begins with the protagonist wearing something like Google Glasses. Since he is a visitor to Cascadia without proper paperwork, he is mandated to wear them whenever he is out in public, and the glasses are programmed by the authorities to restrict what he sees. It’s a frightening vision of how state censorship could be implemented on a person-by-person basis in the future, just by using technology. And that’s just a side thought. The overall plot asks how will we recognize when computers and machines become self-aware, and mixes in questions about the rights of corporations . . . and others . . . to be treated as individuals in certain situations. It’s a complex plot that only a master like Schroeder can pull off. The final story in this collection was by Ken Scholes and narrated by LeVar Burton (Geordi LaForge of The Next Generation). This one takes on home-grown terrorism, religious fanatics, and questions of faith in a post-apocalyptic era. A mediocre story that was significantly uplifted by Burton’s fantastic reading. This is an exceptionally good book of speculative fiction. What a relief from ridiculous vampire novels and vapid space operas. The book builds on the first volume and the stories are all as good and most are better. Like good speculative fiction they are not predictions of the future but vehicles for looking at current issues--ecological breakdown, privatized military and law enforcement, genetic experimentation, adding intelligence to formerly unintelligent things, and many other ideas. And they are great stories by some of the best new scifi writers. And I thought the reading was superb. On the contrary, actors often make the best readers. Next task for me is to see what else each these authors have written. Excellent - one of the recent best! I held off on this series for a long time because of the not so stellar reviews. I am quite perplexed now. Not only was this very refreshing from just the style point of view, each story was excellent and each reader did a superb reading. All I can think of that some of the people that bought this expected shoot-em-up vapid adventure/action stories. These stories are very like both the old and new Star Trek series - they make you think about ethics and morals. Unlike many other stories, both long and short, I was interested in what the future held for our characters. This was very interesting, refreshing and even suspenseful. I'm going to go and the the first book now. I've now been through this title twice - it was just as good the second time around as it was the first. Its a wonderful read - a future that could happen and who knows, might. I like the collaborative style that the different short stories bring and well, the reading talent, amazing. If I could suggest two titles that every audio book nut should read - METAtropolis and METAtropolis: Cascadia are the two! Having enjoyed the concept of the first Metatropolis, I was excited to listen to this one. I was hoping for more of what made the first so good. The creativity of the first collaboration just wasn't here. These stories aren't quite as strong but rely on the inclusion of characters from the first to maintain the readers interest. A good choice if you wondered what happened to a character. Most of the readers are mediocre and tend to act more than narrate. Even tho' a Sci-Fi fan, I had found METAtropolis disjointed, difficult to follow, and had to listen to the story 2x to establish a foothold on what Jay Lake was trying to accomplish. NOT SO with Cascadia. I found Cascadia entertaining, easy to follow (with the exception of Bull Dancers), most of the narration well done, even tho' for some of the narrators this is not a primary occupation, but most of all, the characters thoroughly engaging, realistic, so much so that I sort of hated to see some of the short stories stop. There was good interplay between the stories, but not so obvious that it felt like one long novel. It seemed clear that the authors had worked well together, with Jay Lake accomplishing some good coordination. It also takes place primarily in the geographic area where I live. . I heartily recommend the book to any Sci-Fi fan; it will probably appeal to most people interested in our country's future. Great compilation and follow up! 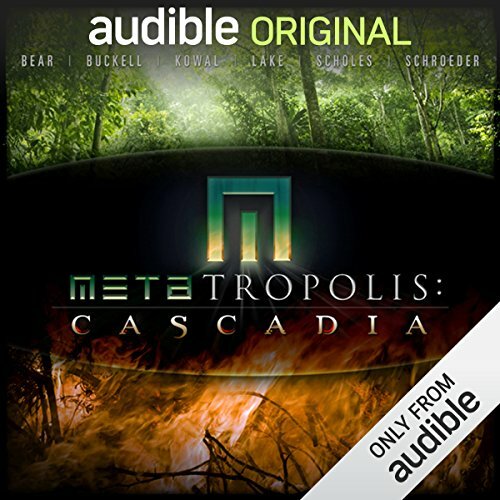 Where does METAtropolis: Cascadia rank among all the audiobooks you’ve listened to so far? 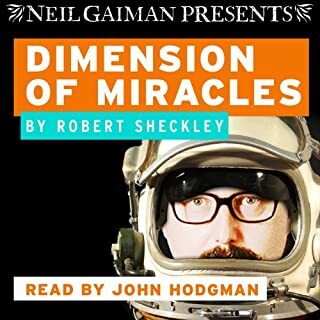 I've enjoyed mostly all of my audiobooks, but this one is near the top. The authors came back and followed up on loose ends from the last book that made me so happy. I like how they all can focus on the events going on in the Cascadia area and have linked everything. I can't wait until the next book comes out later this month! I was also pleasantly surprised by the cast of readers being I listen to books on my commute to work. LeVar Burton brought be back to my childhood sitting in front of the tv watching Reading Rainbow. I loved watching him read to me! But I also recognized Jonathan Flakes which brought me back to Star Trek when my parents watched it. And I investigated and realized all of the readers for these 6 short stories were from that show. Great choices. All I have to say is WOW! I was drawn to the first METAtropolis because I am a writer and I appreciate several writers coming together to create the world and then branch off to create the characters. I was a bit skeptical and not sure about how I felt about some of those stories. But they are doing a great job at keeping consistency with quality. This is a good collection of stories with a cohesive arc. The stories are interesting and held my attention, but some of the stories were less than subtle and a little heavy handed. In particular the final story that deals with a preacher replacing his faith in a divine plan with a faith in humanity. I cannot fault the author too much, characters in short stories are often 2 dimensional out of necessity, but some of the characterizations are a bit too easy. Other than that, I enjoyed this story and the performance of the Star Trek actors was thoroughly professional. 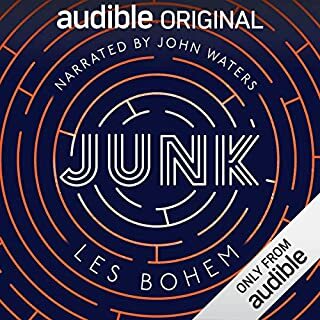 Some of the best readings I have heard on audible are in this collection. I thought it would be impossible to top the original Metatropolis, but Cascadia does it - in spades. There is a greater unity to the stories - all set in a plausible near-future in the Pacific Northwest of the U.S. Jay Lake's opening story and Ken Scholes' closing story are especially connected, and provide perfect bookends. The added bonus is terrific narration by some of the most memorable actors of the Star Trek franchise. It would be hard for me to pick a favorite, but you can't go wrong with the likes of LeVar Burton, Kate Mulgrew or Wil Wheaton. A great listen all around!